Guru Late Jibanjit Dutta, being an exponent of Sattriya dance believed in the philosophy of spreading the art. Therefore, his dream was to make Sattriya ubiquitous and widely practiced among the new age youth. He did not restrict himself to imparting the knowledge he procured, only to his son Borish Dutta. The path shown by his teachers, Adhyapak Roseswar Saikia Borbayan and Nrityacharyee Jatin Goswami was carried forward by him. Finally his desire was fulfilled as Natan Sattriya Academy was established in the year 1995. The School is also registered under the registration society act no. KAM/240/T/649. Post his demise, the school today runs under the guidance of his son Borish Dutta. First of all, to impart formal education on Sattriya Dance under the syllabus of Sangeet Sattra Pariksha. Research and preserve the rich heritage of Sattriya Dance. Enrich Sattriya dance, drama and music incorporating tradition and innovativeness. Provide opportunity and platform for upcoming talents of Assam. Organize workshops, seminars and festivals, so as to popularize Sattriya Dance. For imparting practical as well as theoretical knowledge in Sattriya Dance, Natan Sattriya Academy in Guwahati today has carved a niche of its own. Most noteworthy is the fact that the school is providing Assam skilful dancers for last more than twenty years. Every year, new dance enthusiasts enroll themselves to explore the world of Sattriya Dance. Natan Sattriya Academy is today flourishing with name and fame under the guidance of Borish Dutta, son of Late Guru Jibanjit Dutta. While keeping with his father’s values, he is also trying expand his creative zone; organising workshops and seminars on Sattriya Dance. 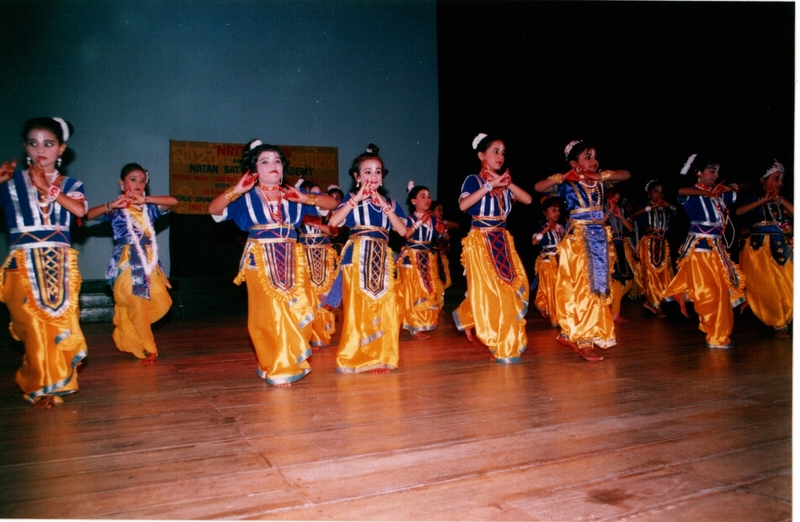 In addition, the students of Natan Sattriya Academy are provided exposure through stage programmes. Borish Dutta is today successfully running the school in cooperation with other alumni’s; nurturing a hope to promote talents of tomorrow.